Food that requires little or no energy for digestion is the perfect choice for parrots with acute or chronic health challenges. 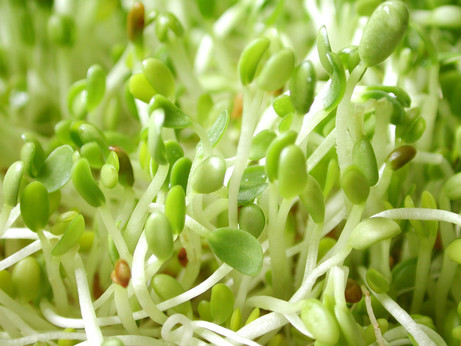 The life energy in fresh sprouts is thought to assist and stimulate the self-healing ability of humans and birds alike. Sprouts supply the body with high-quality nourishment that is used for fuel. Not only do they contain the many trace minerals, vitamins, and enzymes necessary for tissue repair, this “pre-digested food” frees the resources of the body from the task of digestion to speed up the metabolism and to overcome challenges to the immune system. Best Bird Food Ever! What is Sprouting? Our bird food is the finest quality avian sprouting blend available. It has been formulated to provide complete protein, it has a compatible gemination rate so that it will grow for two to three days to reach optimum nutrition levels for your birds, and it is certified organic. For more information on the importance of these qualities please visit our website.